MANHATTAN (CN) — A federal judge ruled Wednesday that the Metropolitan Museum of Art need not return a $100 million Picasso painting to a family who claimed their ancestors sold “The Actor” under duress as they fled Nazi-occupied Europe. Laurel Zuckerman sued the Met as the grand-niece of Alice and Paul Leffmann. The Leffmanns bought “The Actor” in 1912 while living in Germany. Picasso painted it in 1904-1905, at the transition from his Blue to Rose periods. It is considered a significant work. After Hitler’s rise to power, the Leffmanns were forced to sell their rubber manufacturing company, Atlantic Gummiwerk, to get the money to escape Germany. They sent “The Actor” for safe-keeping to a friend in Switzerland in 1936, to keep it from being seized by the Nazis. Three years later, the art dealer sold “The Actor” for $22,500 to a member of the Chrysler family, the auto magnates, who eventually donated the painting to the Met in 1952. The elderly Leffmanns fled to Switzerland, then to Brazil, and returned to Switzerland after the war ended. Their grand-niece’s attorneys demanded that the Met return the artwork to the estate in 2010, but the museum refused. So Zuckerman sued the Met, saying the Leffmanns’ 1938 sale was void for duress under Italian law. She sought the painting and/or $100 million in damages. 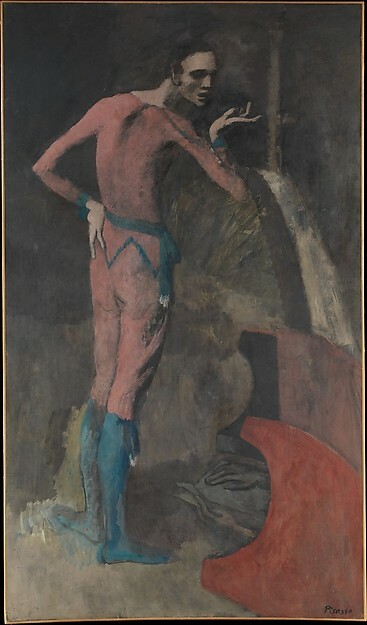 “The Actor,” which depicts a tall, hunched-over acrobat gesturing with his hand, is on display at the Met. Its estimated value is $100 million.